There are many emerging markets, and particularly China and Russia, which do not really want to hold many US dollars, consequently they will move away from it in trade deals, the CEO of The Motley Fool Singapore David Kuo told RT. The biggest energy deal between China and Russia could be the catalyst that dethrones the greenback as the world's reserve currency. Some economists, commenting on Russia and China's 400 billion dollar natural gas accord, say that the dollar is becoming rather weak since many countries are likely to prefer trading in their national currencies. RT:How could Russia and China trading in their own currencies threaten the dollar? David Kuo: I think America needs to be very aware of what is going on, because China will be paying for gas probably in rubles, so consequently, what will happen between these two countries will be that they would be trading in their own respective currencies. 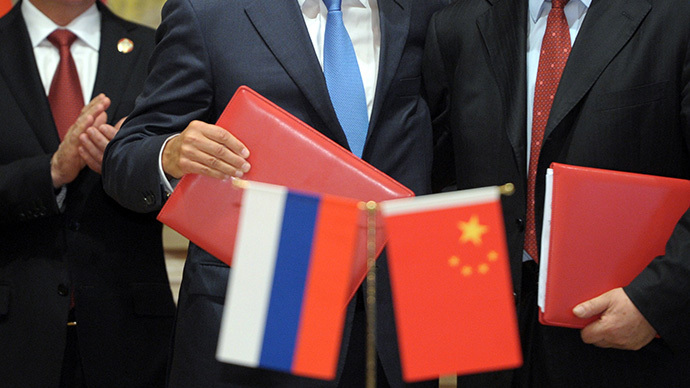 So Russia will be holding a lot of Chinese yuan and China maybe will be holding lots of Russian rubles. Consequently, they will not be holding the US dollar as a result. Previously what they had to say was “Let’s go and buy some US dollars and use it for paying for gas from Russia”, and that may not happen in this particular case because both countries want to move away from holding too much in a way of US dollars. RT:In general, 60 per cent of global reserves are held in dollars, which is worth trillions... Surely America's got nothing to be afraid of, really? DK: I think if you add the euro as well it will be 90 per cent of reserves being either in dollars and the euro. But those countries should not be so complacent because many of the other emerging markets, and particularly China and Russia, do not really want to hold in a way much of US dollars. And one of the big issues is if you are holding US dollars, what are you going to do with it? You have to go out and buy US treasuries and that has really been the attraction of the US dollar because the US treasury market is so big, you can absorb as much as people want in terms of buying this US debt. But America needs to be very aware because this may not carry on forever. There was a time when sterling was a reserve currency in the world. Sterling was a currency reserve simply because Great Britain was one of the biggest trading partners around the world. And then they got usurped, they got overtaken by America. So never say never as far as reserve currencies are concerned. The euro is still playing second fiddle at the moment but as China grows and China starts to conduct its play around the world, it is quite feasible one day China can become one of the reserve currencies that people would want to hold. RT:For the dollar to be dethroned there must be an alternative. Does that truly exist for the moment? DK: An alternative does truly exist but in order for the yuan, renminbi, to be a reserve currency a number of things have to happen. They must have an open bond market, it is all over me holding a Chinese renminbi, yuan, but I need to do something with it and I need to be able to invest it somehow, and I cannot do this by simply sitting and doing nothing. So China must open up its bond market and it must relinquish some of its capital controls. In other words, it cannot control the currency through the government itself; it must allow the currency to be freely traded. The third issue is trust. We saw the 2008 financial crisis. When there was a crisis, what did the people do? Everybody ran to the US dollar, everybody sunk the money into the US dollar because they were safe. Some people have sunk them into the Swiss franc but of course when you look at Switzerland, the economy is not so big, it was not able to absorb all the money coming in. So China has got a potential, but what it really needs to do is to open up its bond market, get the trust of the investors around the world and to relinquish capital control in some way.